A while back I did a poll to see which Avatar: The Last Airbender food you guys wanted to see most, and you chose Five Flavor Soup. This soup appeared in Season 3 in the episode "The Puppetmaster" where it was made for Avatar Ang's gang by the waterbender Hama, who wanted to serve them a traditional Southern Water Tribe dish while they were hiding in the Fire Nation. Like Avatar itself, this dish has mixed Asian influence. There were a few assumptions I made based on what little information is presented in the episode. The major assumption is that the soup is vegetarian, because Ang, who does not eat meat, chows down on it happily. In the episode it appeared that the soup did not have anything in it aside from broth, but I thought that was probably only to save on the animation budget. 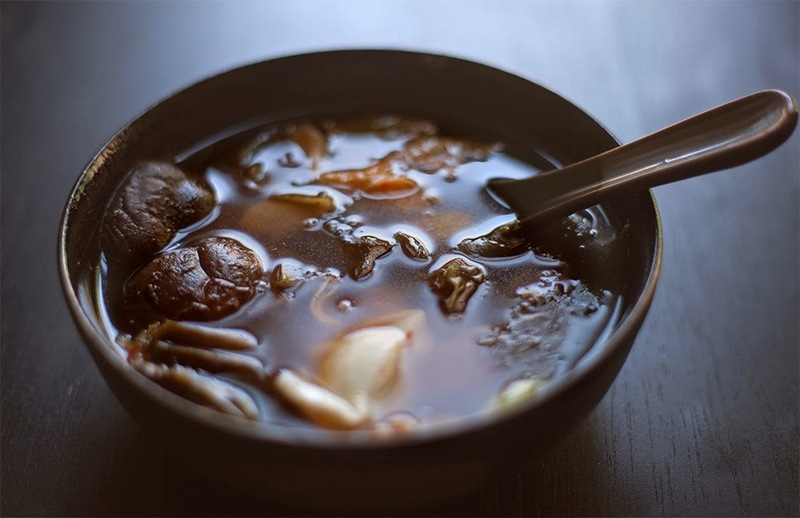 The broth certainly could stand alone if you wish to go that route, as it has a very strong base and rich flavor. When I heard the name of the dish, my immediate thought was Chinese Five Spice, which is a delicious mix of star anise, cinnamon, cloves, fennel and Sichuan pepper. These spices are perfect for cold weather, so I made sure they stand out. There are also five major ingredients in the soup: the wontons, the beans, the mushrooms, the cabbage and the wakame. I also tried to incorporate ingredients that the Water Tribe might use, like kelp, which grows in water, and broad beans, which can be harvested in cold climates. And, of course, cabbages were a necessity. Just looking at this recipe it might seem complicated because there are a lot of ingredients and steps, but none of it is very difficult so don't be intimidated! The result is a light but filling soup, bursting with heat, spice and umami. Start the broth by putting the water and the sheet of Kombu into a large soup pot. Bring the water to a simmer, and then add the dried mushrooms, two tablespoons of the minced garlic, and a couple slices of ginger root. Bring the broth to a boil, then reduce the heat and allow the broth to simmer while you prepare the wonton filling. Chop up half a cup of the broad beans into tiny pieces. Remove one or two of the mushrooms from the broth and chop them finely too. Take one or two leaves of the Napa Cabbage and chop that finely. In a small mixing bowl, add the chopped mushrooms, chopped beans and copped cabbage along with the green onions, Asian pear and remaining garlic and mix this thoroughly together. Season mixture with some soy sauce and grated ginger to taste. Heat up a frying pan with the the oil of your choice, and fry the mixture until nicely browned. Start building your wontons following these instructions. Only make enough wontons that you will be using right away, about 2-3 per bowl. It is not a good idea to make them all at once and do not add the wontons directly to the soup. In a separate pot from your broth, boil the wontons in some salted water until they are translucent. Remove them with a slotted spoon and place them in your serving bowls. 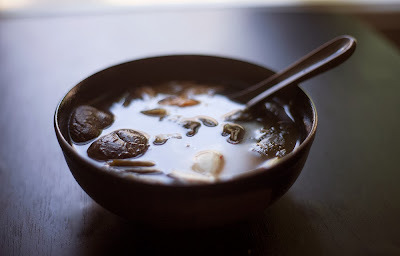 Reduce the heat on the broth and remove the kombu and ginger, but keep the mushrooms. Add the soy sauce, ponzu sauce, mirin and chili garlic sauce to the broth and stir. Taste it, and add more of the ingredients you think it needs until the broth tastes right to you. This might be different for everyone. When the broth is too your liking, add the the remaining broad beans, the napa cabbage and the wakame. Be careful with wakame because it expands a lot, a little goes a very long way. Let the soup simmer for another 5 to ten minutes. Your soup is pretty much done now, so spoon the soup into the serving bowls over the wontons and enjoy! omg I love Avatar! This is so perfect, I can't wait to try! Avatar really is the best. I hope you like it! Thank you so much! You made my day. I have no plans to stop, my friend. 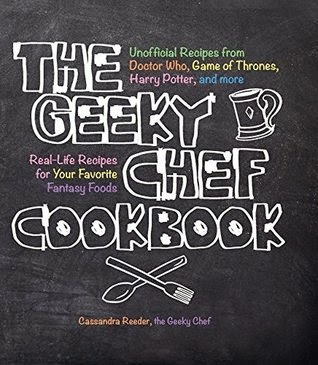 Brilliant foodbending, Geeky Chef! I just stumbled upon your blog looking for LotR-themed snacks for a movie marathon I'm dreaming of. 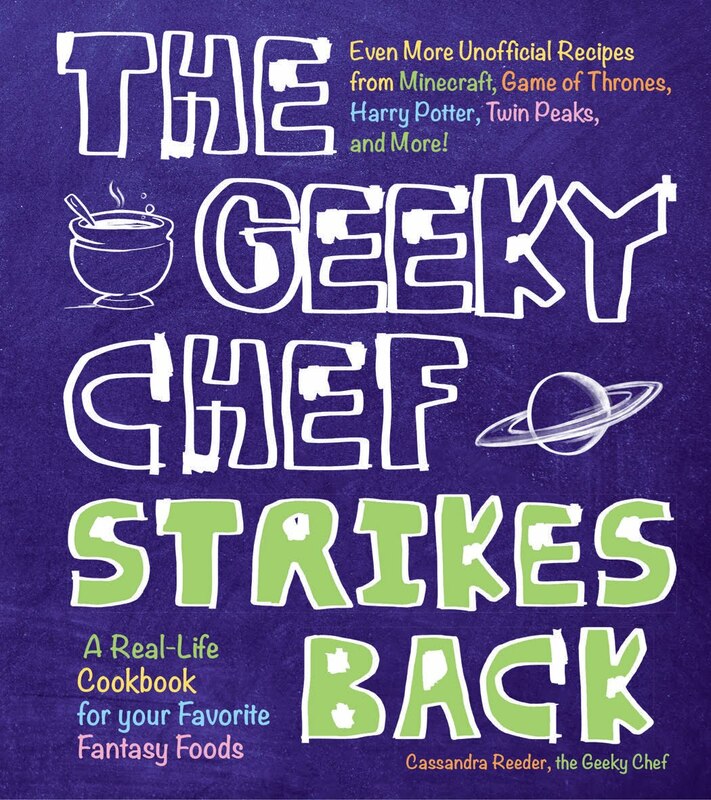 You've created quite the treasure-trove of culinary geek-ery, both due to the inspiration and the sheer cooking genius. I think I would eat your Lembas Bread every day! Thanks for sharing your passion, and Merry Christmas! Ooo this sounds really delicious! Perfect for winter. Made this for dinner today. So good. We eat a lot of nabe and sukiyaki in the winter and I bet this would be good cooked in a nabe.